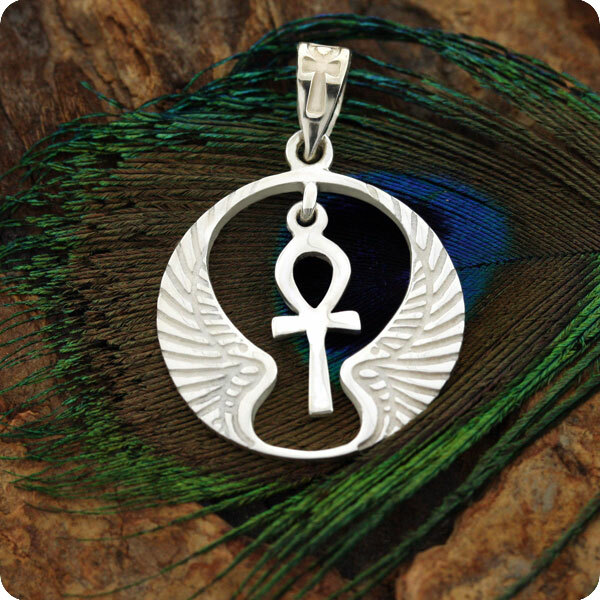 The Ankh is an ancient Egyptian symbol of Eternal Life, and is thought to symbolize the joining of the masculine and feminine principal. In Egyptian art, especially that depicting the afterlife, their gods and goddesses are shown holding the Ankh by its loop as if it were a key. Lower Egypt. The Lotus flowers are connected with rebirth and resurrection and Upper Egypt.